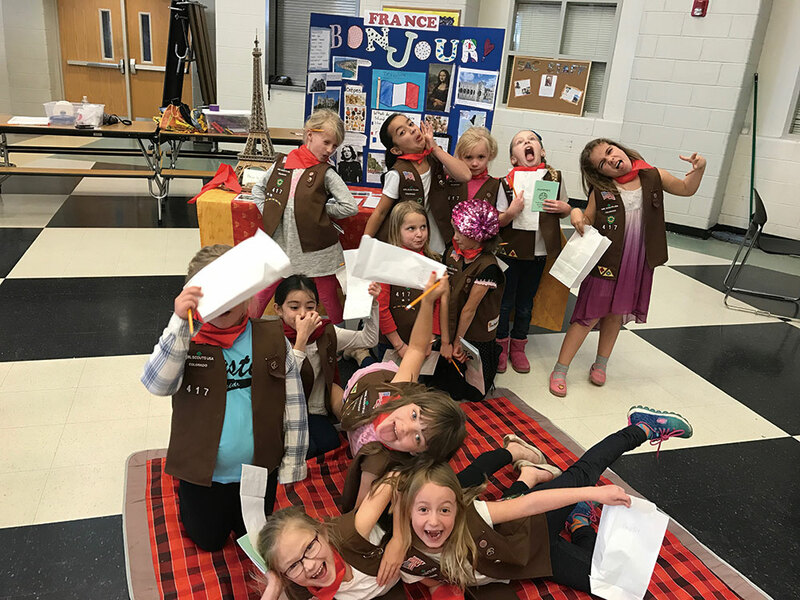 To most of us, scouting organizations like the Boy Scouts and Girl Scouts bring to mind a charmingly old-fashioned, roll-up-your-sleeves kind of attitude, seemingly incongruent to our jaded smartphone generation. Visions of outdoor adventures, childhood friendships, winning badges, awkwardly appropriated Native American traditions, and selling box after box of Samoa cookies to sweet tooth neighbors seem to be the makings of a healthy, wholesome “Andy Griffith Show” kind of childhood. With a strong global presence ever since the original Boy Scouts were founded in England in the first years of the 20th century, scouting organizations are still with us today. Moreover, the twelve principles of the Scout Law, such as loyalty, friendliness, bravery, and cleanliness, seem timeless. Many of us fondly remember our days as a Brownie or Cub Scout and would like the same healthy habits instilled in our kids. Luckily the scouting tradition is very much alive and well here in China. The history of scouting in China begins in 1912 during China’s Republican period, when China’s first Scout troop was organized by the American-educated Reverend Yen Chia-lin. It was a quick success. Four years later, a nationwide organization of the Boy Scouts of China was formed in Guangdong, then known as Canton, which soon spread rapidly all over China. The Scouting Movement, with its focus on obeying your elders, respecting nature, being loyal, trustworthy, and thrifty, had quick acceptance in the country that birthed Confucianism. Take the very Chinese practicality of the Scout Motto, “Be Prepared,” which translates directly as zhunbei. The Scouting movement was banned by the Chinese Communist Party soon after the establishment of the People’s Republic in 1949. Instead, Communist “Pioneer Movements” (actually inspired by the Scouts) cropped up in many Communist countries from the Soviet Union to Cuba to Vietnam and, of course, China. Since the reinstatement of the Boy Scouts, with Troop 943 in 1997, and the founding of the Girl Scouts’ Beijing council in 1970, these scout groups of foreign origins have flourished over the past couple of decades, at their height reaching over a hundred members. We talked to Elizabeth Thornton and Randy Williams from Troop 943, and Amy Kennedy-Penuel from the Girl Scouts, to learn more about how these organizations are operating in China, and how their principles can apply to a wide variety of people and interested parties from all sides of the globe. 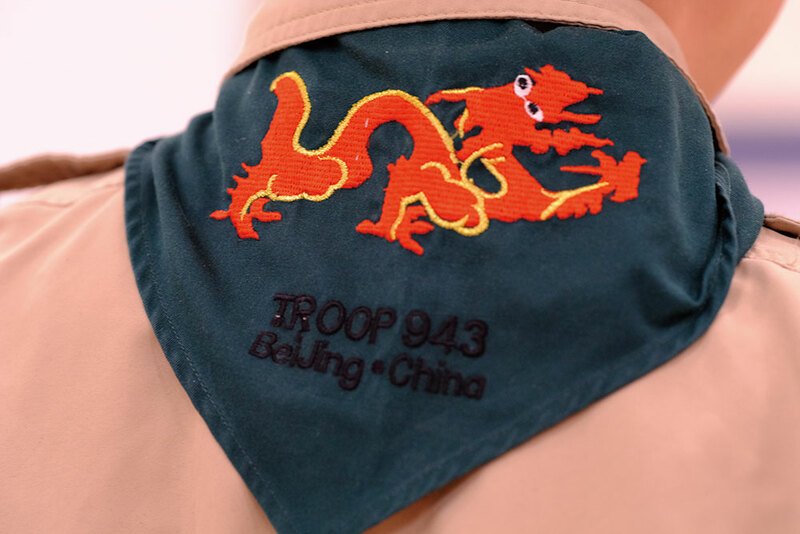 Though you can still only join these organizations in China with a foreign passport, one of the perks of both the Girl and Boy Scout programs is that while they strive to maintain the traditions they are known for in their places of origin, these elements do not exclusively belong to any nation. They are very much international and endorse qualities that are important for all coming-of-age individuals. It’s not always easy in Beijing to find ways to get your children involved in exciting trips, fundraising, experiencing the great outdoors, and doing community service projects. 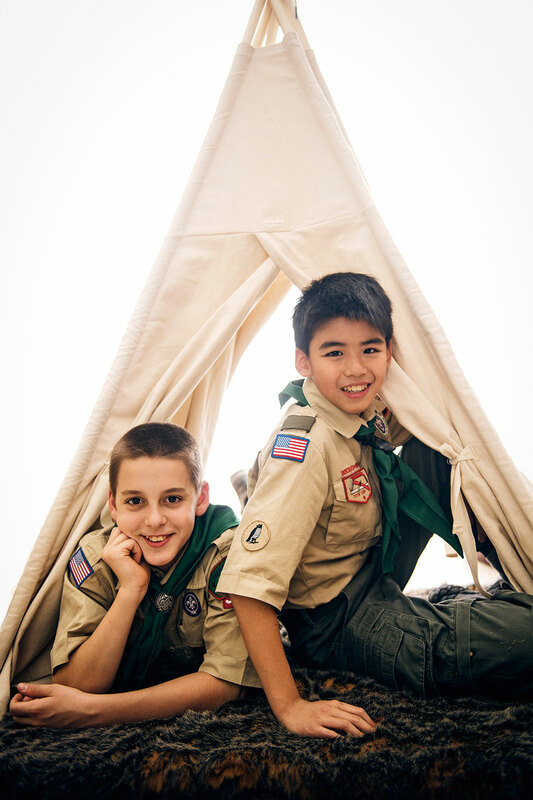 While the Boy Scouts don’t have as many members as they once did, it isn’t because their program is any less exciting or challenging than their other Asian or Western counterparts. In recent years increased living costs and stagnated pay packages have made the capital a less viable option for many families. But the core philosophy of scouting is ever present. For the Girl Scouts, however, one of the obvious aspects missing that we will have to suffer for the foreseeable future is the absence of Girl Scout Cookies. “Very sadly, we cannot sell cookies in Beijing. In addition to import fees, customs rules, and so on, Girl Scout Overseas rules do not allow us to sell cookies abroad. A few select girls located near US military bases do sell cookies, but obviously not in China. It is by far, the question we are asked the most!” Kennedy-Penuel told us. But what these scouts are lacking in numbers or upholding sweet-toothed fundraising traditions, they more than make up in the experience and adventure department. We can only imagine how envious the scouts from other countries are when they learn about the troop in Beijing which gets to explore the many cultural relics and exciting opportunities that exist in Beijing. Brownies celebrating World Thinking Day. Scouts in Beijing enjoy hiking along the Great Wall, skiing in the winter, and backpacking, cycling, climbing, or working toward some of the 130 plus Merit Badges in their curriculum. They even have opportunities to engage with other international troops in Asia or beyond. Just last year eight boys and four adults went to Philmont, which is a high adventure scout ranch in Cimarron, New Mexico. The crew hiked 67 miles in 12 days while climbing three mountains. Last year there was also a scout camp in Nepal, and this year there is one in Mongolia. 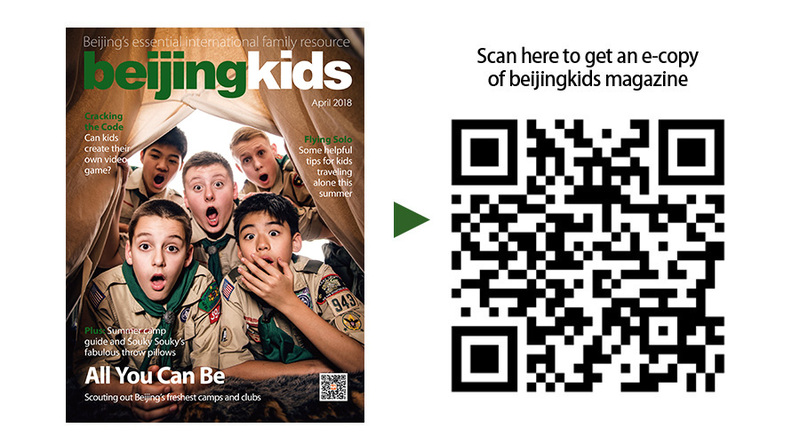 Scouting in Beijing isn’t only about the participation and growth of kids but also the parents. Parent volunteers are an integral part of these programs. They are not only required to be present at all meetings, but they are encouraged to help in various aspects of planning activities and promoting the core values of leadership and teamwork. It helps that meetings are in the evening, but this can still be difficult for some families where both of the parents work full time. According to Thornton, parents get to spend time with their sons and see them grow in their leadership. “New parents to the program have to make an effort to learn more about Boy Scouts, take some online training classes and find a way to help out the troop. 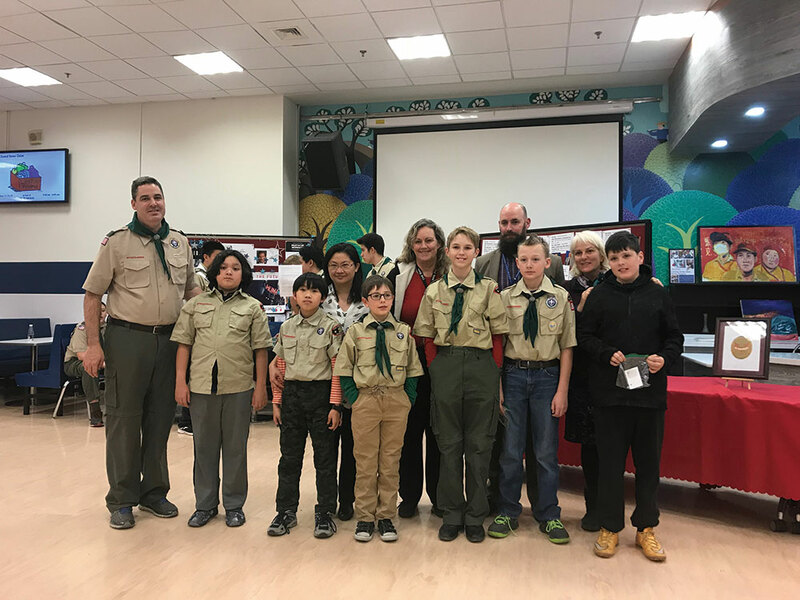 Many parents choose to help plan our campouts, and serve as merit badge counselors or role models for the scouts in troop leadership,” she adds. Living in Beijing as an expat there are many ways to find community. Scouting is just one possibility, though it is unique in the way that it combines so many interests ranging from a love of the outdoors, to community projects, and culture. The framework is time-tested and reliable though still developing with the times. In October last year, The Boy Scouts of America became gender inclusive, possibly in hopes of bringing new recruits to an organization that has suffered steadily declining membership over the years. Nobody knows if this downward trend in Beijing and beyond will continue in the years to come, but for the time being and from what we noticed from going to one of their meetings at the ISB (International School of Beijing) High School Cafeteria, the kids were loving their time as scouts, showing pride in all of all their badges, and sharing stories of their experiences in the program. Get involved or sign your son or daughter up for scouting. Contact Amy Kennedy-Penuel (beijinggirlscouts@usagso.org) or Elizabeth Thornton (elizab.75@hotmail.com) for more information. Note that registration normally begins in August.